As summer approaches with all of its unrelenting heat, it’s time to reevaluate the deodorant in your bathroom. Many deodorant products on the market these days contain harsh chemicals to fight body perspiration. As a consequence, long-term use of these ingredients on your skin could impact your health. 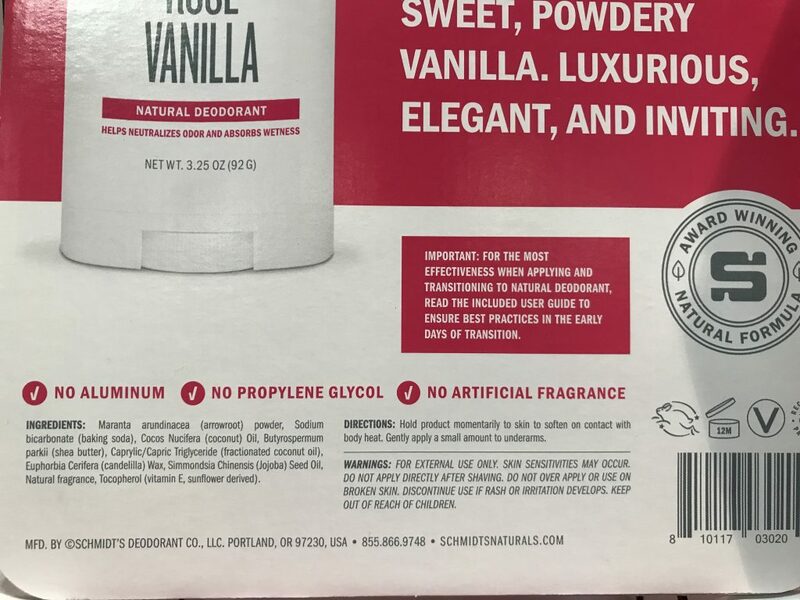 Schmidt’s Natural Deodorant has no aluminum, propylene glycol, and artificial fragrance. This means you can confidently apply your deodorant every day on intimate parts of your body without too much doubt. These days, we are always looking for ways to make healthier choices. Often times, we overlook what we are doing to our skin. Deodorants are haphazardly applied under our armpits and other intimate areas. However, many of the artificial ingredients and chemicals that we are slapping on ourselves can change our body and harm our health in the long-term. Item name: Schmidt’s Natural Deodorant. Arrowroot, coconut, and jojoba oil formulat with natural fragrance. No aluminum, propylene glycol, or artificial fragrance. Certified vegan and cruelty free manufacturing. Helps neutralize body odor and absorb wetness. 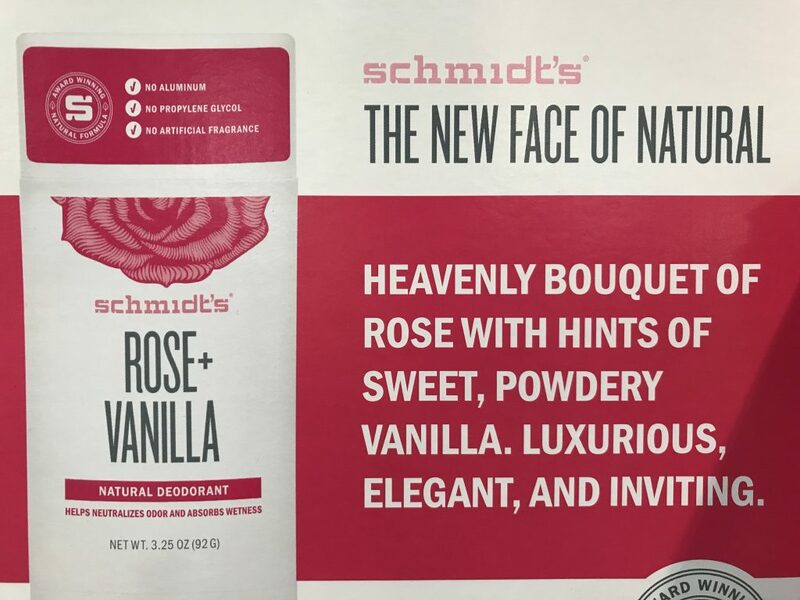 Made in Portland, Oregon, Schmidt’s natural deodorant product aim to use natural oils and fragrance to fight body odor. Unlike other antiperspirants, this deodorant does not block your sweat glands. Instead, using its award winning natural formula, Schmidt’s arrowroot powder, baking soda, and natural oil mix helps neutralize odor. The natural way. The baking soda also absorbs wetness and helps you get on with your day without any embarrassment. Aluminum: Antiperspirants contain active inredients that have aluminum compounds. The aluminum blocks your skin’s pores and sweat glands. This ensures that you sweat less in the area you apply your deodorant to. Not only is blocking your skin not a good idea, these aluminum compounds are shown to be absorbed by the skin. Unfortunately, this could impact your hormones and potentially cause cancer. Propylene glycol: This ingredient is derived from petroleum. This helps the deodorant to be smoothly and slickly applied to our skin. Propylene glycol can be harmful at higher concentrations and should be generally avoided if possible. Artificial fragrance: Ever meet a person who smells bad and all they do is spray more perfume or cologne on themselves? Artificial scents probably cover up body odor well, but only initially. Moreover, the fragrance sticks to your skin and disrupts your body’s normal functions. 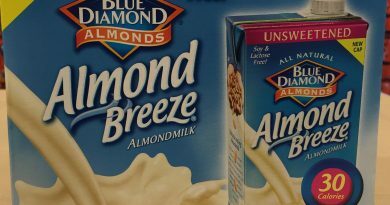 Some of these artificial scents can be toxic. And the last thing you want to do is apply toxic substances on intimate parts of your body. Schmidt’s deodorants come in several scents. This product contains their natural rose and vanilla combination, which is tailored more towards women. I found the scent to smell refreshing, calming, and weak (in a good way). It doesn’t have the pungent kick that other deodorants have upon opening the stick. 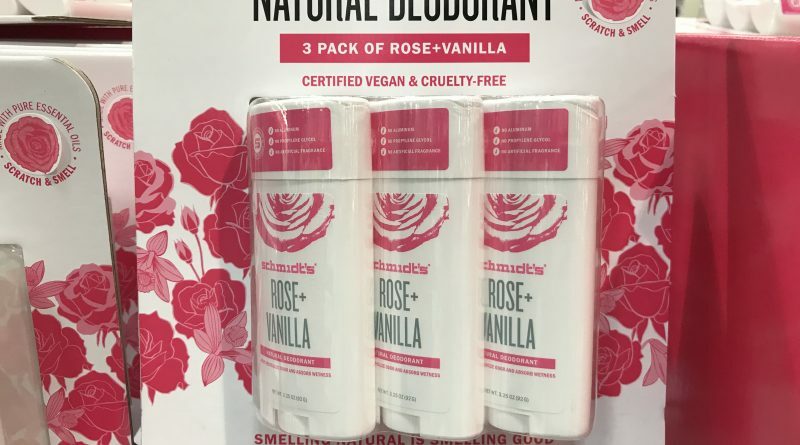 Looking to Purchase Schmidt’s Natural Deodorant? 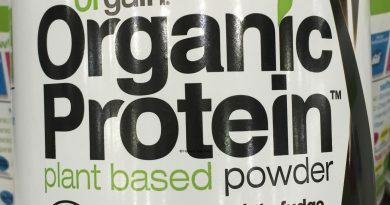 I started seeing this product at Costco warehouses recently. They might not be around for a long time. Amazon has this item in stock at a great price with shipping included. Also, you get to only try one tube instead of the three-tube pack at Costco. 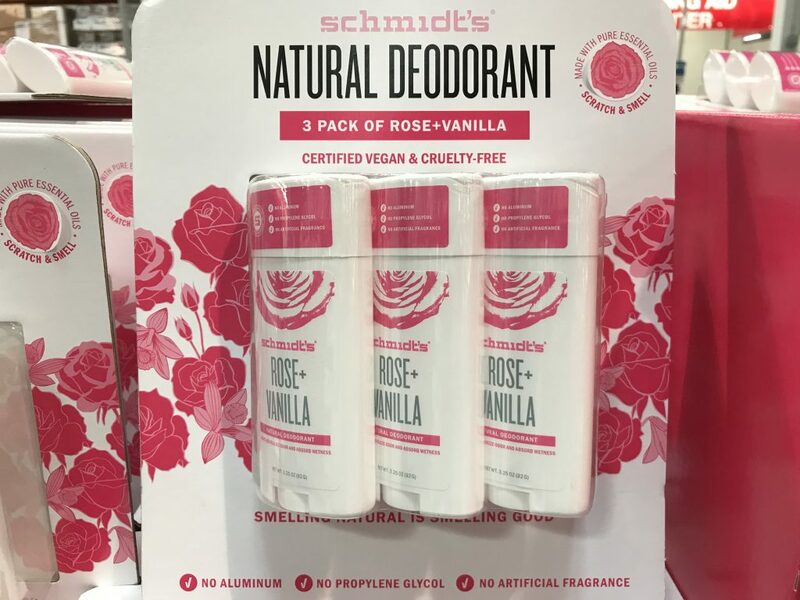 Have you bought the Schmidt’s Natural Deodorant before?